The staff at Grace In Design Services, LLC (GID) work with trade professionals to produce attractive, modern architectural designs which meet the needs of our clients. 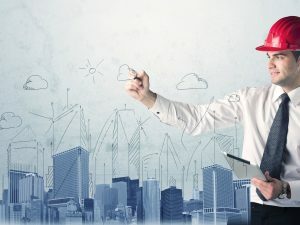 The dedication to high quality by GID combines with commercial expertise and technical assets to set us apart from our competitors and provide the unique position for the firm?s continuing success. The lead Registered Interior Designer bring over fifteen years of successful experience while offering a full range of architectural design services. GID?s design team is skilled in a wide variety of residential, industrial and institutional venture types. Several of GID?s architects have acquired trade recognition for his or her designs. Please contact us for extra information about previous projects completed by our associates. We provide previous to joining the agency, including single-family and multi-family residential, commercial, institutional, governmental facilities. The principals at Grace In Design Services, LLC, Inc. registered and certified professionals with an objective developing environment friendly, environmentally aware and technologically superior structures. We are developing a working knowledge and of green building and are actively searching for clients who share in our objectives.